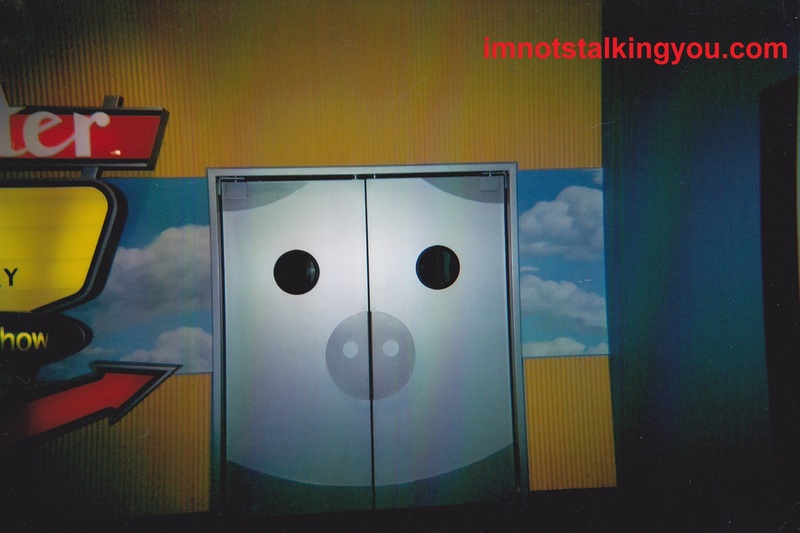 fun | I'm not stalking you. When I was a tiny child, a year was a very Very VERY VERY long time. In January, it would seem like Christmas would never come around again. Same with Halloween. A year was just an infathomable amount of time for my immature brain. I knew that each day passed, and month by month, eventually we would get there. I knew this to be true. But it was just an eternity. I can’t even describe it. 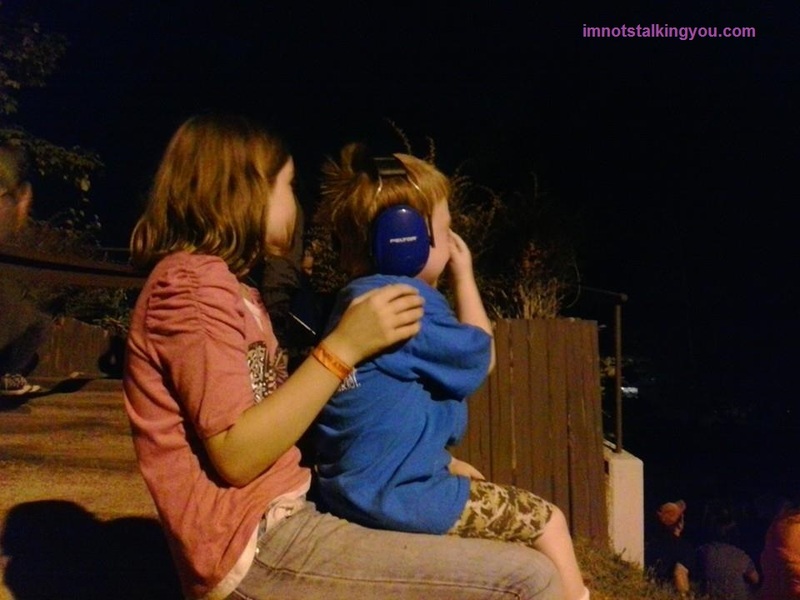 While so many other memories have faded, that one is still relatively clear in my memory. The endlessness of time stretching out before me. 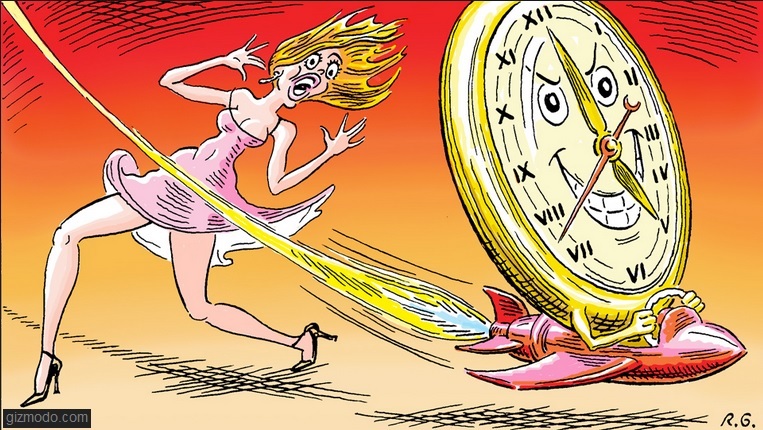 And from things my son says, I believe this is how he experiences time as well. Here is an ugly picture that perfectly illustrates the topic of my post. Maybe time moved so slow for me because as a child I spent a lot of time being bored. “I’m bored” came out of my mouth probably every hour of the day. I was bored in school. I was bored at home. I was bored in the car. I was bored at the grocery store. I was bored visiting my Gramma. I look back now, and all that “bored” time just seems like such a waste. I could have been writing the books then that I don’t have time to write now. I could have hugged my Gramma a few more times while she was still here. Here is a beautiful picture that perfectly illustrates the topic of my post. I get up now, I rush through my day, doing everything as quickly as I can, sometimes accurately and efficiently, usually not. At the end of the day, I realize that it is actually Friday. I lost the whole week. I am so tired that I go to sleep. I get up, eat breakfast, and somehow it is Sunday night already. I have to turn around and do it all again. My life is racing by me. I don’t have one second to sit down and appreciate anything. I am afraid tomorrow that I might wake up dead. I am not kidding. People in my family do not have a very good shelf life. Sure, my mom survived terminal cancer, but she has the longevity of the Eatons making up half her genes. They only make up a quarter of mine. I just need to hurry, to finish as much as I can before I expire like a bottle of Diet Rite at a gas station. 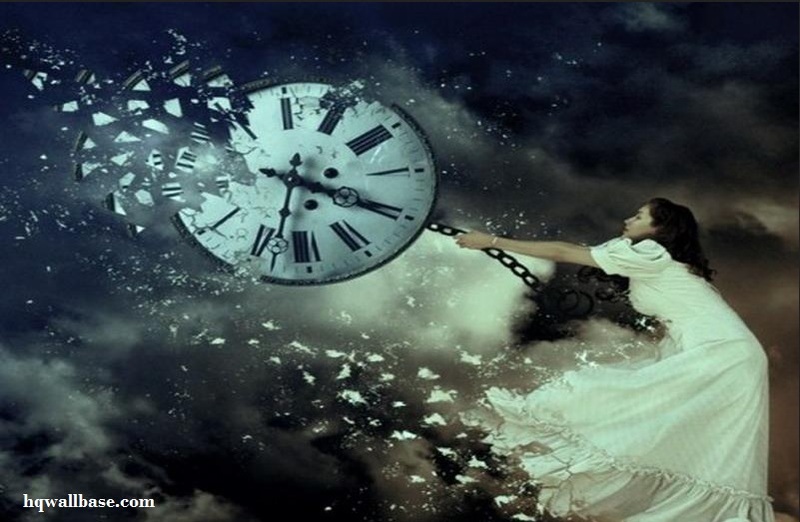 * But, the more that I hurry, the more behind I get, the faster time flies. I just wish a had a stop watch, so that I could pause everything so that I could enjoy what I have while I have it. And I need to book that trip to Las Vegas, and Hawaii. Because someday, I will not be here to do it. * No one buys Diet Rite, and all diet pop has a shorter shelf life to begin with because of the artificial sweeteners. Posted in A day in the life, Childhood Reminiscing and tagged Borders, boring, childhood, death, Diet Rite, fight, flies, Forever, fun, life, live, management, perceptions, time. Bookmark the permalink. This week I learned that every now and then it is good for my family to have a day outside in the fresh air spent with one another. I can remember only one disagreement, but that is just because we were hungry and thirsty. 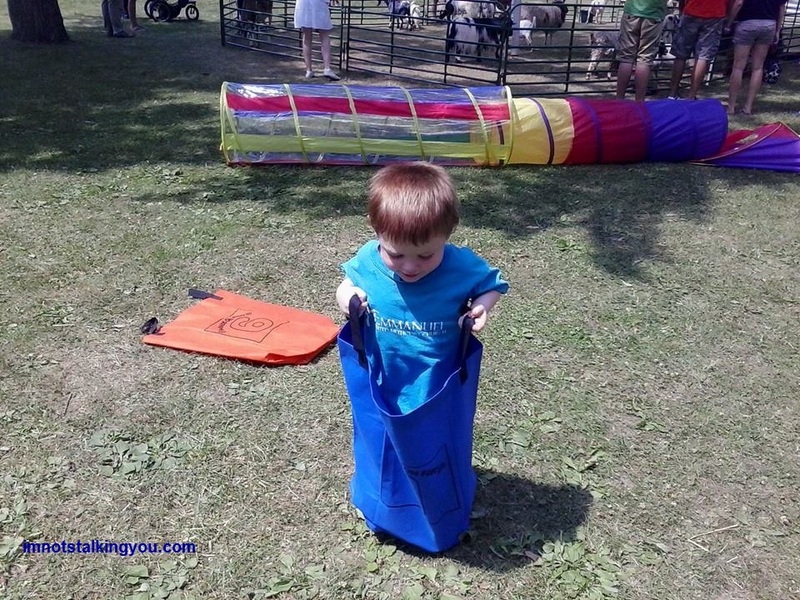 I present pictures from the 2014 River Raisin Festival in Blissfield, Michigan. If you ever find yourself in the neighborhood on the second weekend in July, stop on by. What is M watching so intently? 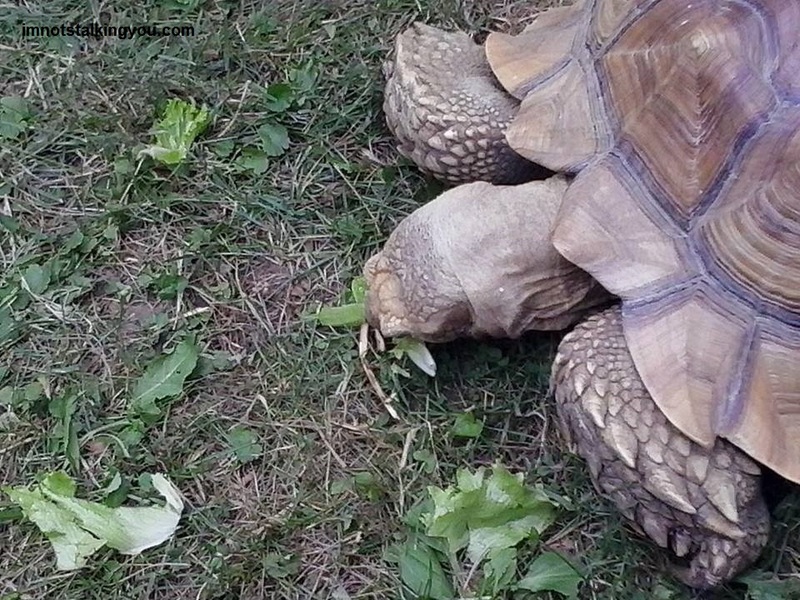 A giant tortoise, that’s what! Trying to master the sack race. He is winning because he is the only one racing. 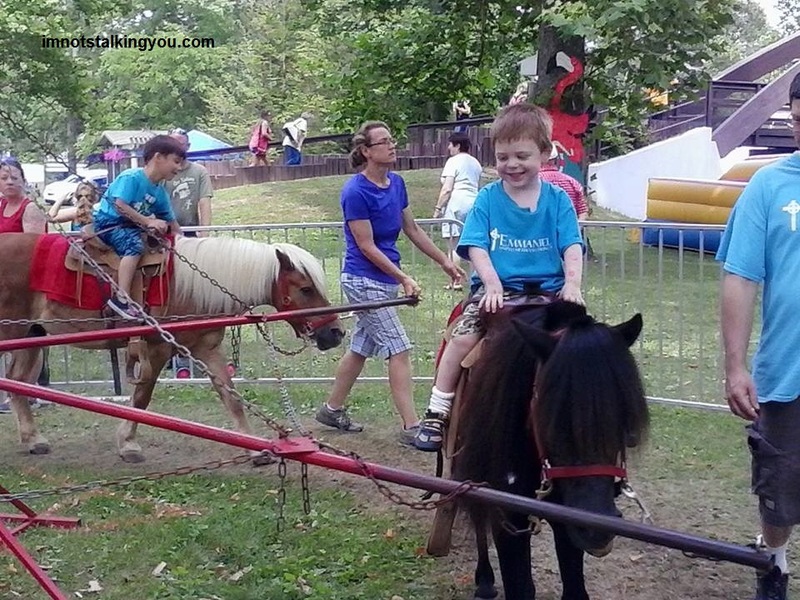 A pony ride always brings a smile to my boy’s face. 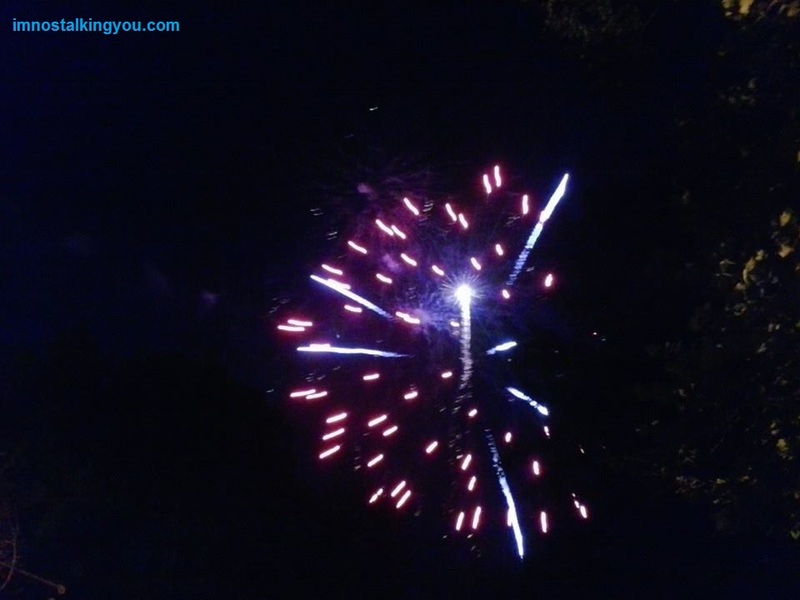 Posted in UnProfessional Photography & Artwork, What I Learned This Week and tagged Blissfield, entertainment, festival, fireworks, free, fun, July, Michigan, photography, pony, River Raisin, summer. Bookmark the permalink. 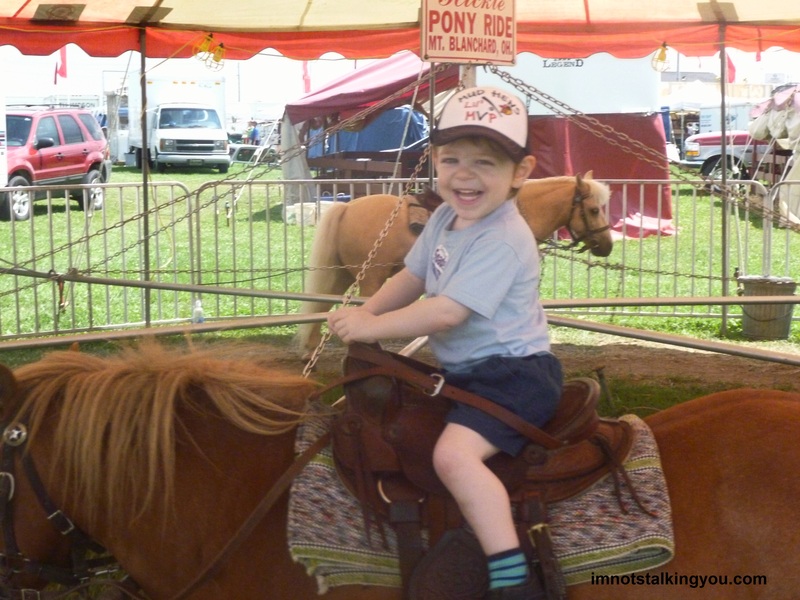 There is a definite reason the Lenawee County Fair is called “Michigan’s Oldest Fair” and the Monroe County Fair is known as “Michigan’s Finest Fair”. A sheep will try to eat anything, including my shirt. While I am still wearing it. My kid loves riding the ponies. 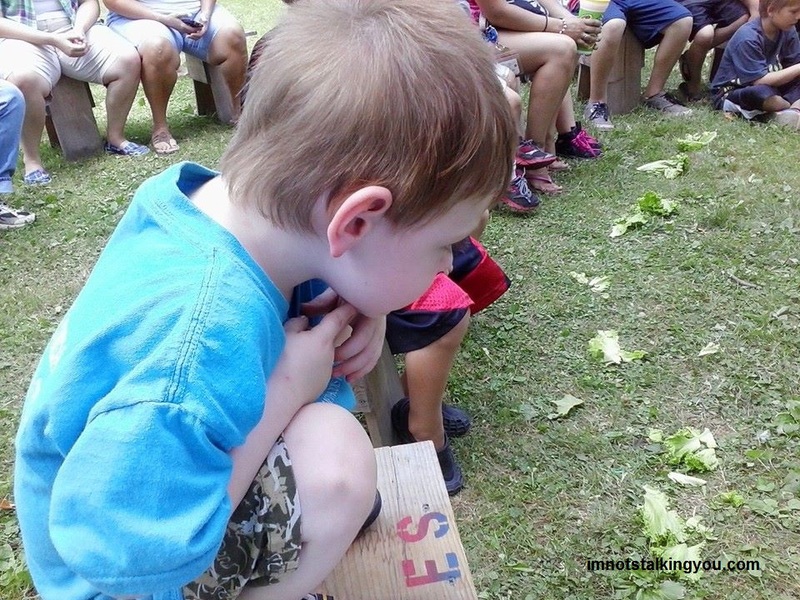 Posted in What I Learned This Week and tagged chocolate covered bacon, county, fair, fun, Lenawee, Michigan, Monroe, pony, ride, sheep, wallaby. Bookmark the permalink. In 2004, my husband and I were trying to buy our house. (Yes, as you may guess, it is now valued well below what we paid for it.) The sellers had accepted our offer and we were waiting to hear on a closing date. We were already approved for our mortgage. So what is a couple to do? Take a trip out West for a week! It was the most ambitious trip we have taken to date. We left Michigan by car ferry into Wisconsin. We toured a submarine. 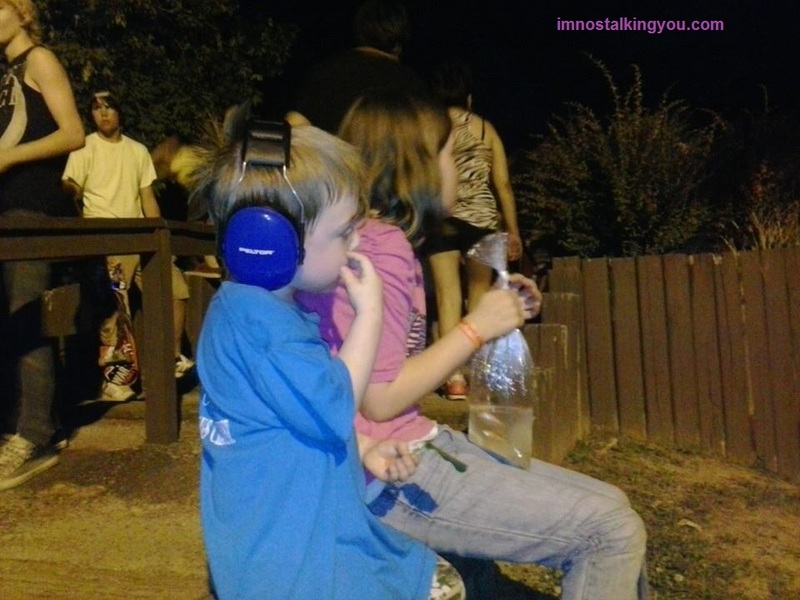 We played at Lake Winnebago (Maybe I will write another post on that someday). We camped every other night in our Pontiac Aztek (with optional tent) and stayed in hotels the rest. We panned for gold. We saw the Badlands. We saw the world’s largest prairie dog. We went all the way to Mt. Rushmore. While Mt. Rushmore was awesome, that is not what we remember most from that trip. We remember the fun we had at the Spam Museum. The Spam Museum is located in Austin, Minnesota. (I always have to think Austin, Texas to remember the name of the town.) We heard about it because my husband saw a brochure at a freeway welcome center. He insisted that we needed to go. I was very reluctant, as I usually am (sometimes unfairly) of his suggestions. I think he probably purposely steered our route through the town of Austin just so we could go there. And we had a flippin’ blast. The Hormel factory (makers of Spam) is in Austin. The Spam Museum is next door. Now, I was there 8 years ago. So, if you travel there upon my recommendation, please realize some of my information could be dated. 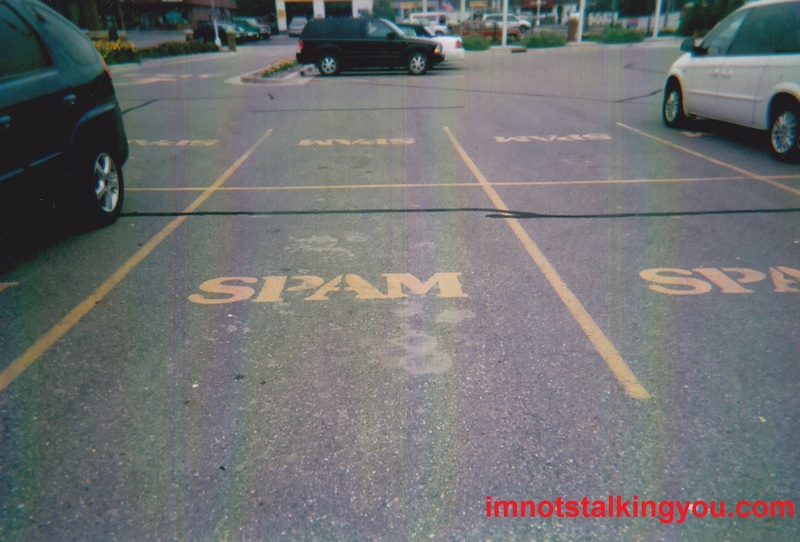 The parking lot spaces were all painted with the Spam logo. 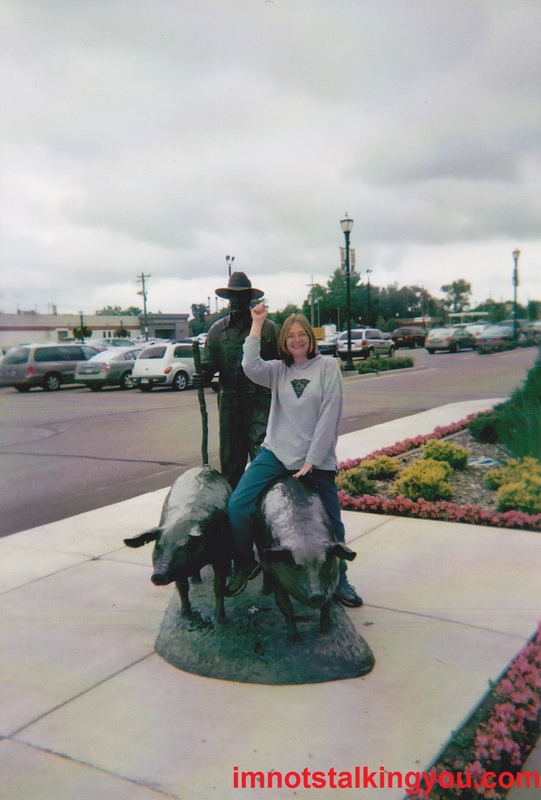 A giant metal statue of a farmer and a pair of pigs stood outside the front door. We walked in not knowing what to expect. 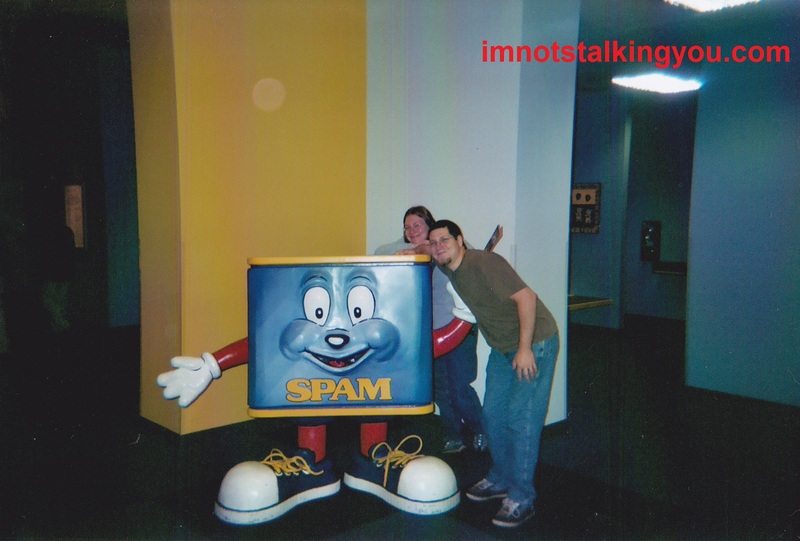 We were first welcomed by a statue of the Spam mascot, Spammy. He invited us to take a picture with him. There was also a giant floor-to-ceiling wall of Spam. There was a short movie that plays about the history of Spam. There were audio clips and memorabilia from pop culture and historical (war) references to Spam as well. There was a hands-on area that was quite fun. 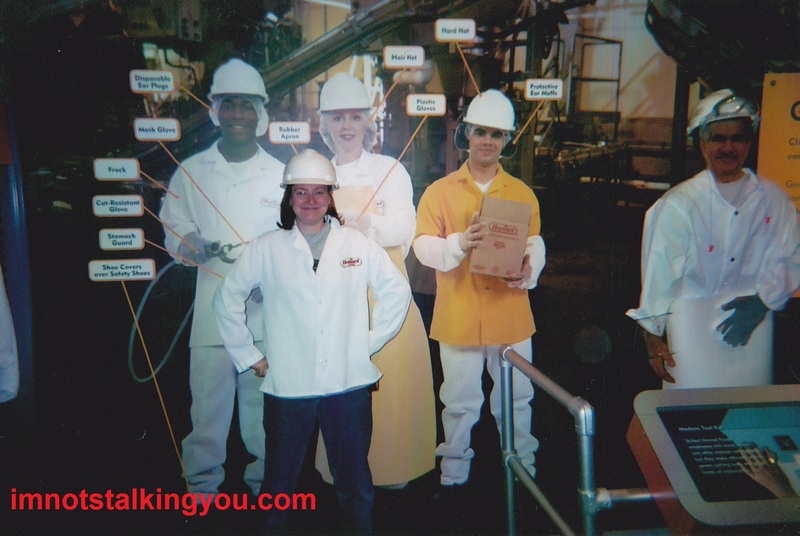 You could dress up like a worker at the Spam factory. You could see how fast you could can Spam (not real Spam, but a Spam-colored bean bag). My husband and I ran around and laughed our heads off. Can you spot the “fake” Spam worker? They have a huge gift shop at the museum where you can buy almost anything you can imagine, embelized with the Spam logo. 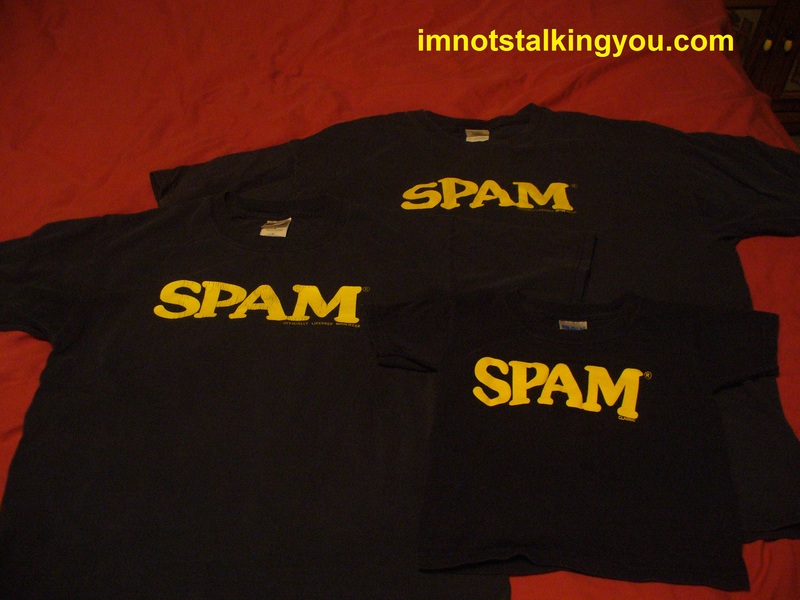 We bought a T-shirt, and of course, some Spam. We ate it that night for dinner while we camped at Lake Mitchell (home of the Corn Palace). It totally cured my usual issue of vacation constipation. 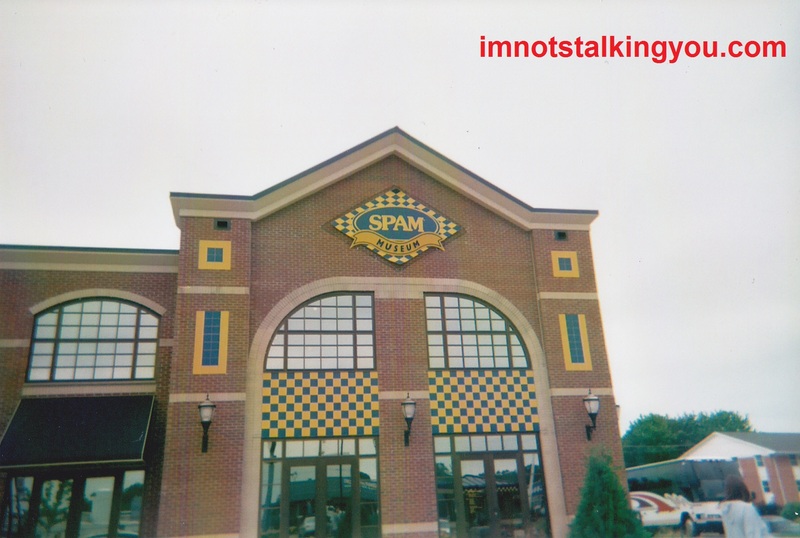 We have never forgotten the Spam Museum. We are not real big Spam eaters. My husband will have it occasionally. I mostly love the kitsch factor of it. My husband outgrew the original Spam shirt, so I ordered him a new one from the Spam website (and a pair of sweatpants) for Christmas one year. He handed down the original shirt to me, which, being 8 years old, has now been sewn up about 10 times. 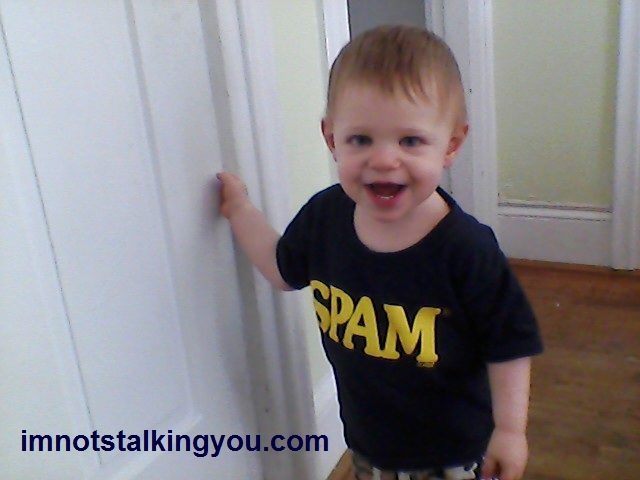 Last year, I bought my son his very own Spam shirt for Christmas. We usually do not wear them all at the same time, but someday I would like to get a family picture taken that way. It would be wonderfully cheesy. And maybe we would end up on Ellen or something. Maybe that could be our Christmas card this year. People might think we are weird. But those who know us well already know we are weird. A few years ago, we went to a friend’s wedding in Minneapolis. We were right near the Spam Museum and hoping for a return visit. But we were on a tight schedule and the timing just wasn’t right. Man, just writing this, I yearn for another long, leisurely vacation like that one we took out West. We really had no plan when we began, but it turned out nicely. It would probably be a very different experience taking the little one along. Posted in A day in the life, UnProfessional Photography & Artwork and tagged Austin, constipation, Corn Palace, family, fun, Lake Mitchell, meat, Minnesota, Musuem, processed, Spam, Spammy, vacation, West. Bookmark the permalink.